Pippa Middleton gave birth to her first child last month, and now her baby name has finally been 'revealed'. The 35-year-old welcomed a baby boy in October with her husband James Matthews. The news of the arrival came just a day after Meghan and Harry announced their lovely baby news, as Kensington Palace confirmed that Pippa had had a baby son. However, after the announcement, the couple did not publicly announce the baby name of their bundle of joy, leaving royal fans to speculate what moniker they would pick. The top choice for bookies was Michael, for two very sentimental reasons, and turns out they were right. 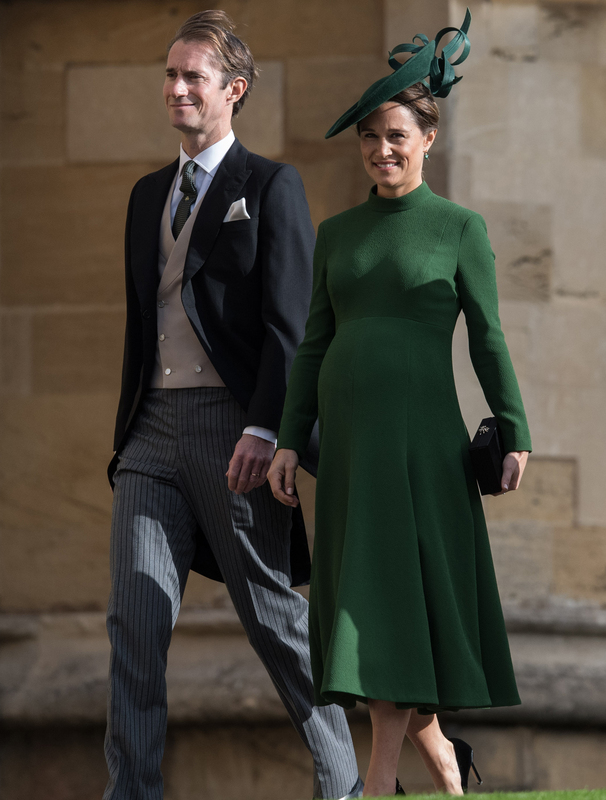 According to Mail on Sunday, who revealed Pippa Middleton’s baby name, the couple chose Arthur Michael William Matthews for their baby boy. While Arthur is one of the baby names that was predicted to be popular in 2018 by parenting magazine Mother & Baby, Michael has a special significance for both Pippa and her husband James. Not only is Pippa’s dad called Michael, it was also the name of James’ eldest brother, who sadly disappeared in 1999. He 22-years-old at the time and vanished while attempting to be the youngest person to climb Mount Everest. The news is not confirmed, but as the couple are not part of the royal family, it’s unlikely they will publicly announce their baby’s name. Pippa confirmed she was expecting her first child back in June, after months of speculation. She wrote in her Waitrose magazine column: ‘I was lucky to pass the 12-week scan without suffering from morning sickness. This being my first pregnancy, I had so many questions I felt were still unanswered. What do you think of the name Pippa and James reportedly picked for their first baby? Do you like it? Head over to our Facebook page and let us know your thoughts!